Join our paintball network and reap the benefits! IPG provides all customers with a great experience from the booking process right through to the game day. Book with IPG and let our experienced team get you set for the paintball adventure of a lifetime. Whether it’s for a birthday, stag or hen party, or just a group of friends getting together, we’ve got what it takes to provide you with the ultimate paintball experience. The very hunter and hunted nature of paintball might seem combative and war-like, but the truth is that the game is actually great to nurture camaraderie and team spirit among players. That is also why major corporations and companies have successfully been using paintball as a team-building exercise and as a means to boost morale among employees for many years. At IPG, we want to share that same bonding spirit that is awakened when one is caught in the trenches with a comrade. We have realised that this creates a great opportunity for us to invite paintball centres throughout Australia to join our paintball network. You might ask why we want to do this? This is all about our desire to bring the thrill of the game to as many people as possible. This will create an opportunity for paintball centres located in cities/towns throughout the country to possibly find new players – completely free of charge! 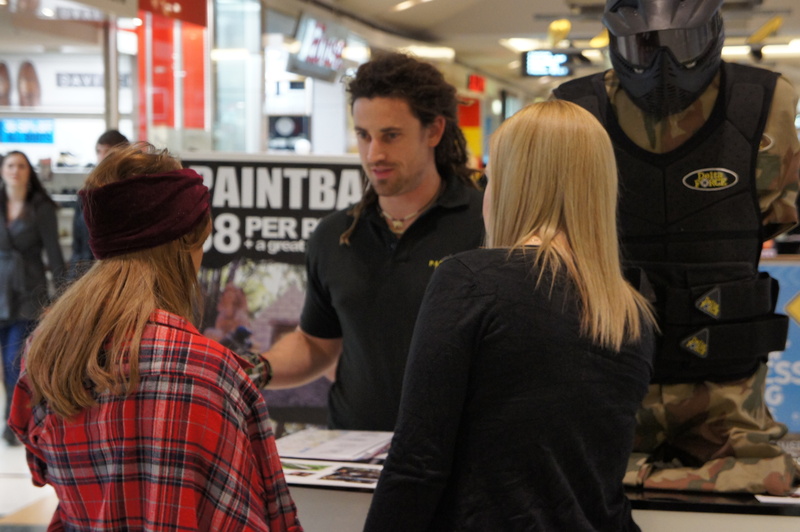 In fact, one might call joining our paintball network a type of free advertising! In order to join our network please complete the Join Our Network form. A friendly network staff member will be in contact to discuss joining our network.